Comes with a uniquely designed Thumb-cut dome that guides you even in the dark for instant use. Spray nozzle always point towards attacker's face. 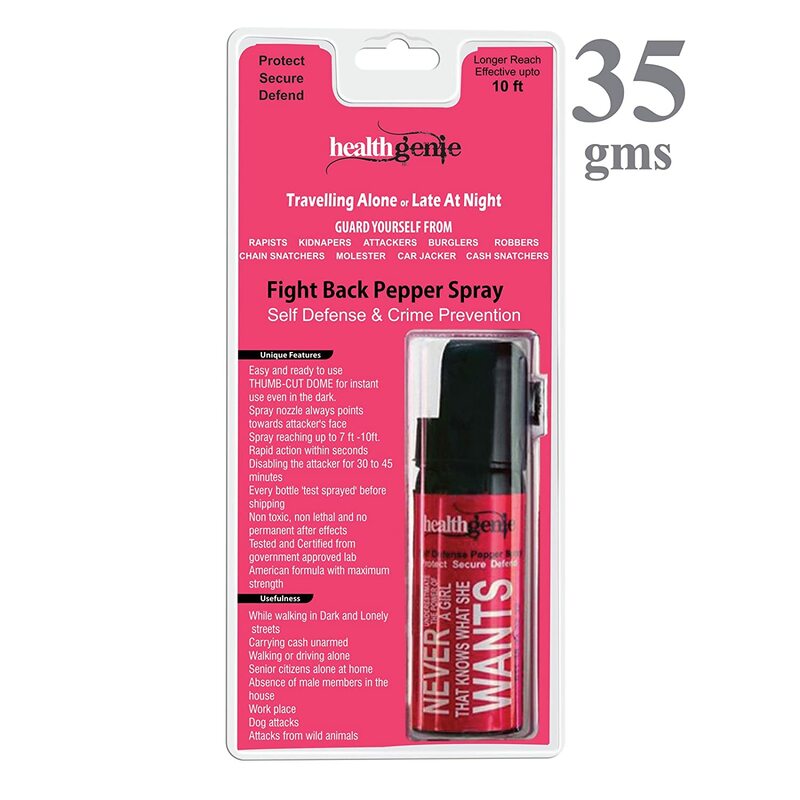 Healthgenie pepper spray's dimension are 35mm diameter and 110mm respectively. Tested and certified from government lab and and legal to use under threatening circumstances.